MLM industry works on various plans and concepts to sale products or services by team efforts. MLM Software India have a core team of MLM consultants, web designers, software developers, support and software testers who have years of experience in the MLM Software consultancy, design and development to approach the domestic and International MLM networkers and customers. The team is ready for implement your ideas and new MLM concepts into MLM Software. The Uni-level MLM Plan is a simplest MLM plan for multi-level marketing companies. Under this MLM Uni-Level Plan every promoter recruits new comers in their own frontline in unlimited width. The promoter or sponsor gets compensation up to a limited depth. Further the new comers also do their efforts to increase their frontlines and get benefited. 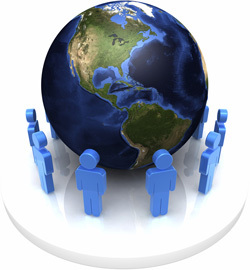 The MLM Board Plan adopted by large number of domestic and International multi-level marketing companies. The MLM customers also benefited by this board plan and earned lot of money. The MLM Stair Step Plan is target basis by the team effort, in which every member assigned a designation and given a set target for sale of products and services. When a down-line member sale some products or services a percentage ratio is distributed in up-lines also. This self and group sale points counted into individual account and whenever a member achieves his/her target points or sale, the member promoted for next higher step and incentives given to the achiever.